One of my favorite stories about Oda — our founder — was how she met her husband, Hilmar. 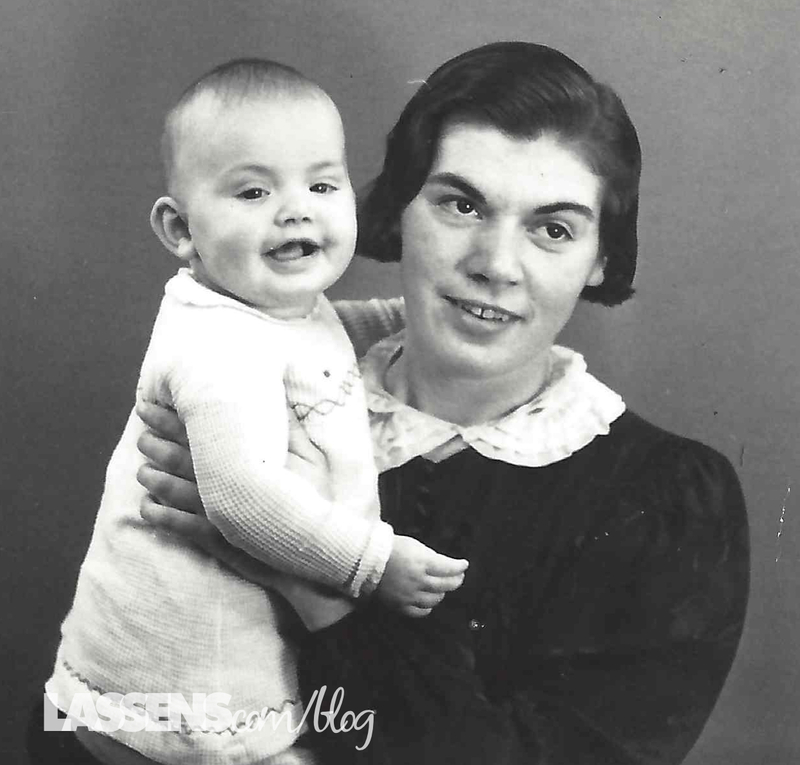 In the early 1930s, she went to a dance in her hometown of Aalborg, Denmark. She was only fifteen, so when this 20-year-old older man showed interest in her, she knew he was too old and worldly for her. 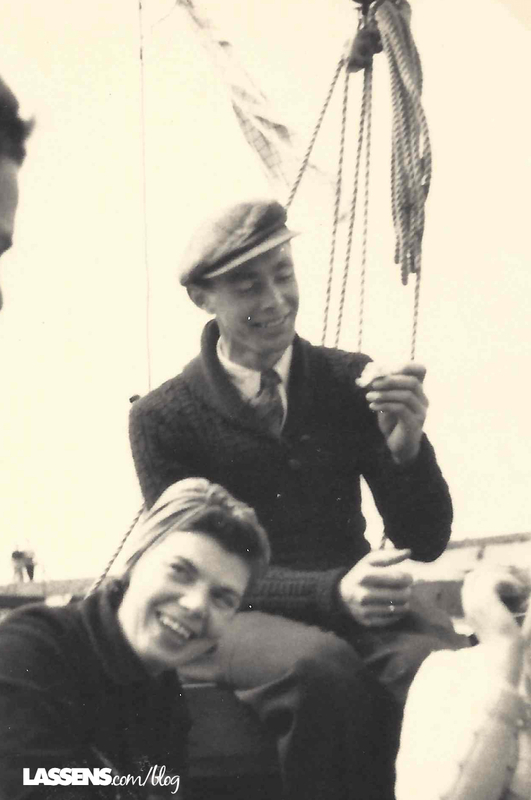 He had been sailing around the world in the Danish Merchant Marine since he was fourteen, and seemed overly confident and maybe even a little arrogant to her. He asked if he could walk her home, and she accepted. But she really didn’t want to encourage his attention, so she excused herself to go to the ladies’ home. Out of sight of Hilmar, she slipped out the back way and didn’t return. This lady always knew her mind and followed her instincts! Despite this brush-off, several years later Hilmar saw her again and the time was right. They started to see each other and their romance blossomed. 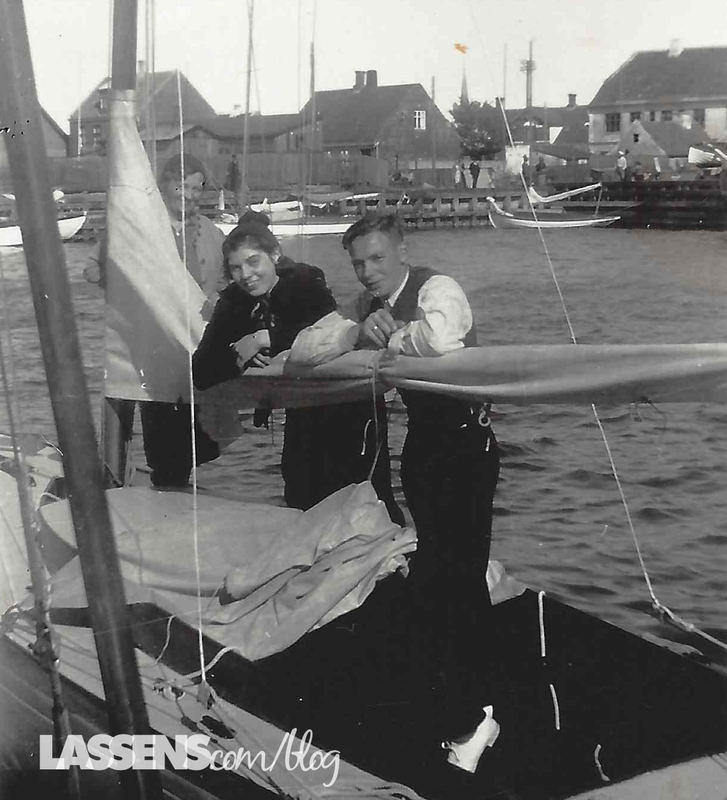 Hilmar was an accomplished sailor, and had access to his father’s sailboat. 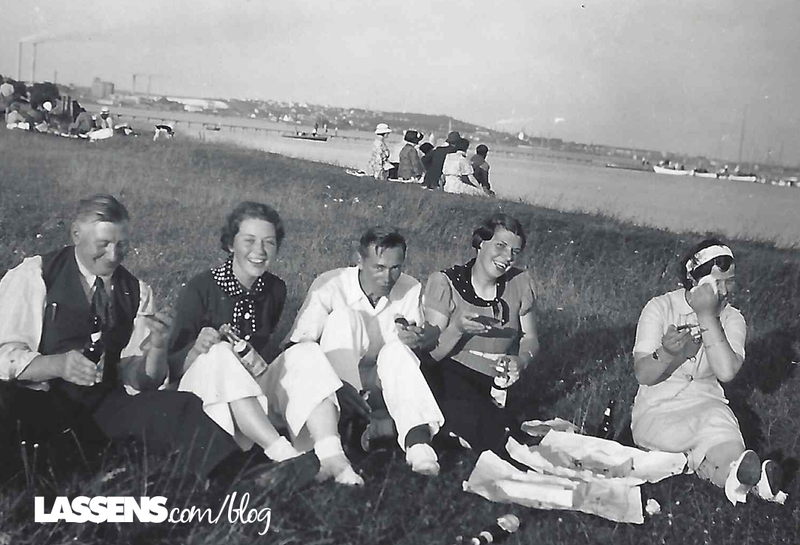 Picnics, friends, and sailing often went together. Beautiful days on the Danish coast. Hilmar and Oda are in the center. 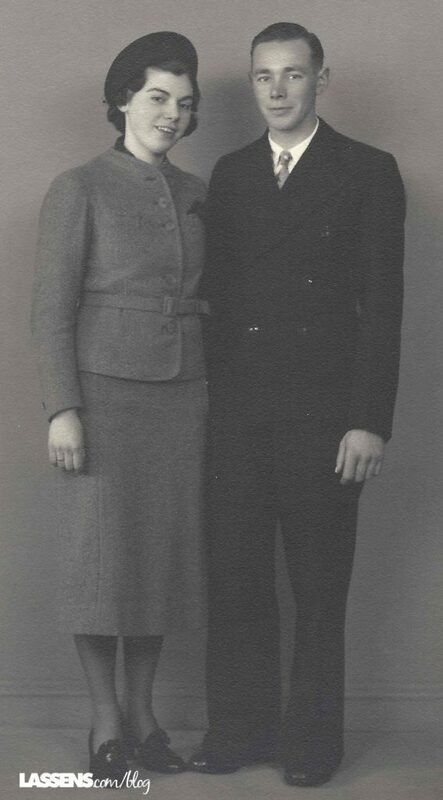 Oda and Hilmar were married on April 15, 1939 at the City Government Building and then her mother hosted a dinner for family members. They moved into a little apartment and started their happy life together. Their oldest daughter was born the next year. But it wasn’t much longer before war knocked on their door. Less than one year after their marriage, Germany invaded Denmark and the little country was occupied until the end of World War II in 1945. 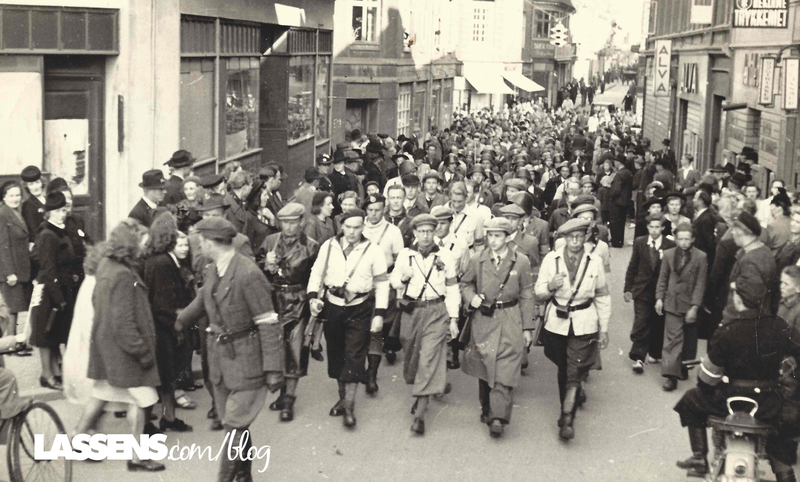 Denmark knew that they stood no chance against the much larger German army, so they agreed — under protest — to the occupation. Oda and Hilmar had a second daughter soon after. But the Danes are an independent bunch, and they found ways to undermine the occupiers. An active Underground was established and Hilmar and many of his friends were part of that resistance. They received dropped shipments of arms from the Allies and hid them for the time when the Allies would arrive on Danish soil. The Danes could then join with the Allies against the Nazis. The Danes supplied military intelligence to the British throughout the War. 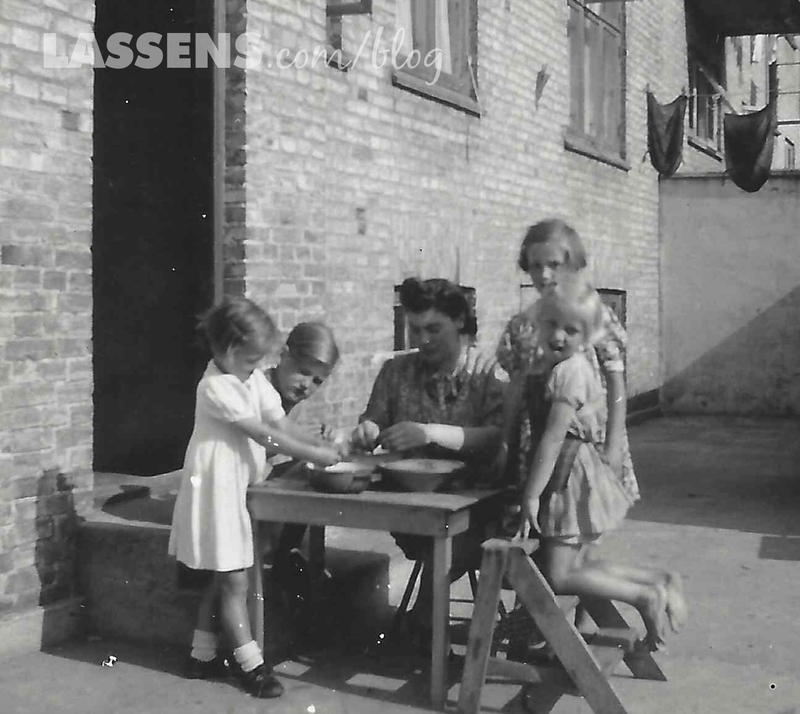 They also refused an attempt by Germany to isolate or round up the Jewish population, which meant that most Danish Jews were rescued and saved from the Holocaust. To hear Hilmar and Oda talk about those years was thrilling and frightening. During the War they owned a little neighborhood dairy shop, and Oda would slip Resistance pamphlets into the bags of their shoppers. Hilmar delivered purchases by bicycle, and after one frightening night of soldiers searching their apartment building, he took the guns that had been hidden there by bicycle to a more secure location. It looks like Oda is having the children help her to shuck English peas, her favorite! 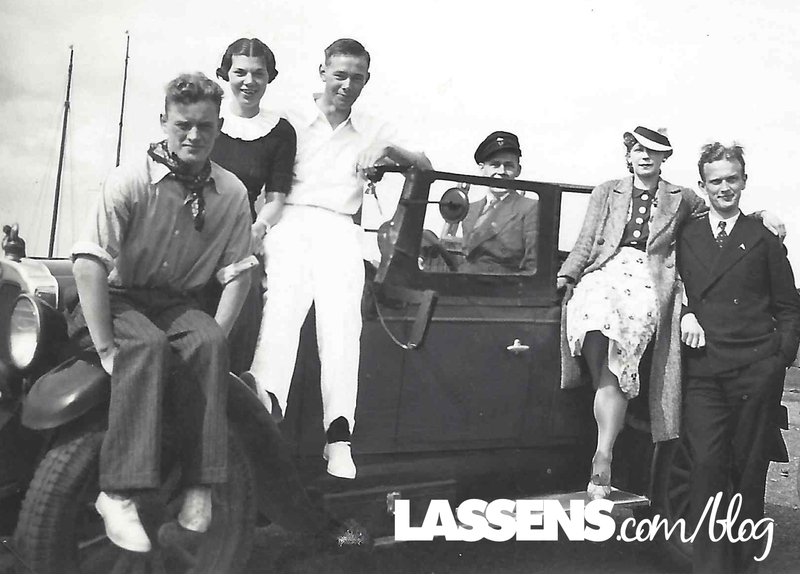 It was a difficult time of rationing and fear, but the Lassen family tried to enjoy their lives as much as possible. Children played in the courtyards of the apartments, and Oda did her best to nurture her family as well as she could. After the war she never took fresh fruits and vegetables for granted, and remembered that one year during the war she only had one orange. 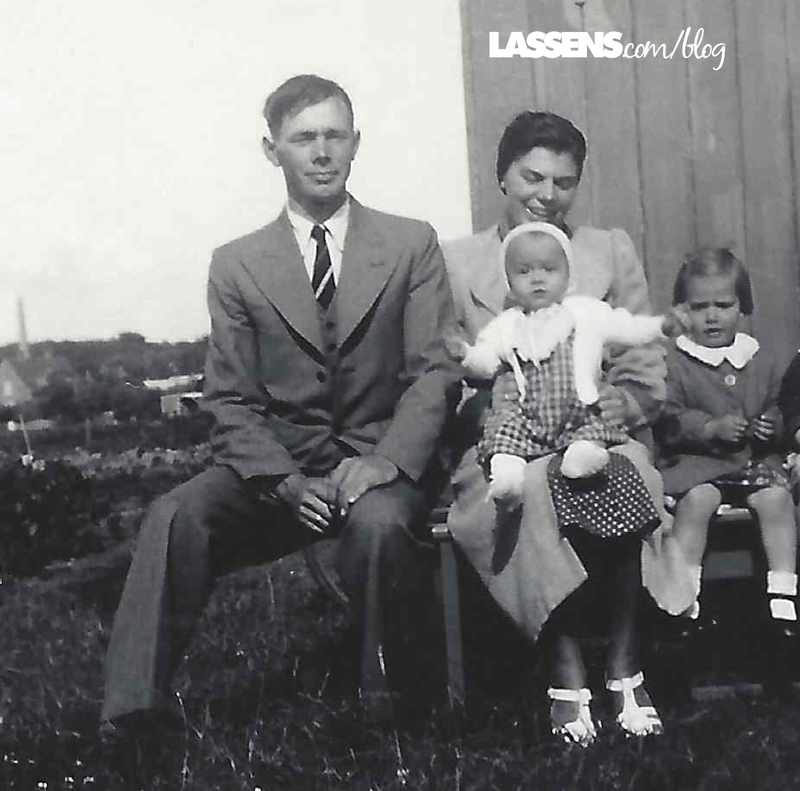 The war years were challenging for the Lassen family and for all of Europe. But from that challenge they knew they could thrive in hard times, especially when they bravely worked hard together. Those qualities served them well as they faced new challenges for the next 67 years. Thanks for all you taught us, Oda and Hilmar!